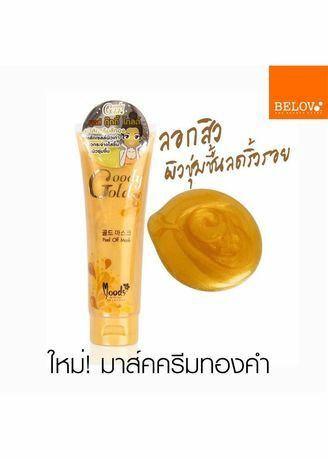 BELOV MOODS GOODY GOLD PEEL OFF MASK, gold mask for clean and care your face. This can peel your pimple on the nose and all your face. Clear dirt and residue on the face to bright and shine. Firm your pore. Anti-wrinkle and fulfill the moisture to your skin.